NTI is a privately-held company. Our products are manufactured at our company headquarters in Aurora, Ohio. We are a D&B rated company with an excellent credit history and industry reputation. Our products are sold world-wide through an extensive network of International Distributors and resellers. NTI has been providing solutions worldwide to customers since 1984. 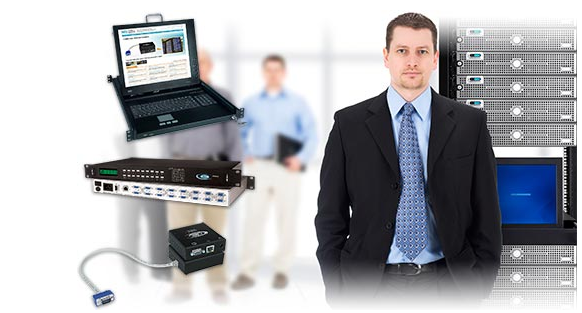 You'll find NTI KVM and audio/video solutions utilized in commercial, industrial, military/government (with an approved federal GSA contract), educational and worship applications. Our KVM and video switches and splitters are utilized by network administrators, IT managers, software developers, computer test engineers and technicians, and SOHO users. Our staff of technicians and engineering experts can provide you with clear, concise answers to your installation and configuration questions. Our evaluation program makes it easy to try our products in your application. With all manufacturing concentrated in our headquarters, we can customize our products to fit your needs. XTENDEX® Extenders via CAT5. Place control where you need it-up to 1,000 feet using CAT5 UTP cable. USB, VGA and KVM extenders are available. RACKMUX® KVM Drawers. Provide space-saving convenient control in 1RU of rack space. VEEMUX® Audio/Video Matrix Switches via CAT5. Route and distribute audio/video up to 600 feet using CAT5 cable instead of bulky coax cable. UNIMUX™ USB KVM Switches. Control up to 32 USB computers with one USB keyboard, USB mouse and VGA monitor using the single-user USB KVM switch. With the multi-user USB KVM switch, up to eight users can share 32 USB computers. ENVIROMUX® Mini Server Environment Monitoring System. 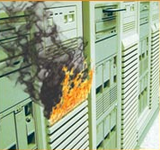 Monitor and manage server room environmental conditions over IP. Provides early warnings before critical events turn into disaster. Monitors threats: high temperature, low humidity, and water leakage. VOPEX® Video and KVM Splitters. Display the same image on multiple monitors from one computer using an NTI video splitter. Access the same computer from multiple locations using an NTI KVM splitter. SERIMUX® SSH Secure Console Switches. Deliver secure control of up to 32 serial devices via Ethernet, LAN or dial-up modem connections.